If your house is currently on the market, you will have to do a lot of preparation to sell your home. When it comes to negotiation, this is when you really need to get down to business. 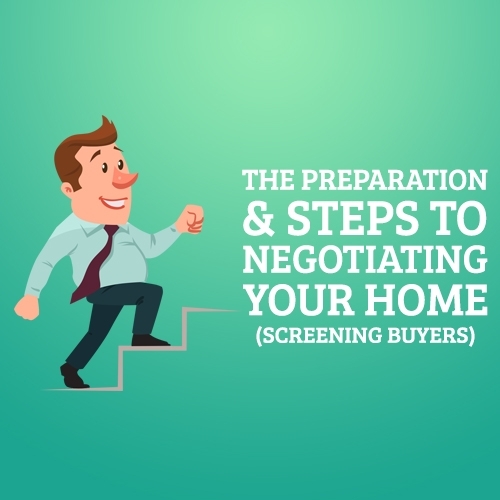 This part is extremely important, negotiating with prospective buyers is the time where you will be weeding out those who aren’t serious so that you can make your final decision on a specific buyer. This is the time where you need to sit down and figure out how serious a buyer is. You will have to ask a ton of questions to determine how serious they are, and whether or not them purchasing your home will benefit you in the end. If the buyer is working with an agent, this will let you know that legwork and paperwork can be done for you, or at least some of it, and that you might be expected to pay for a commission for said agent. How long have you been looking at homes? If the buyer has just started looking for a home, move on. This means that they are probably just “window shopping” and will continue to look at other homes besides yours. However, if they have been looking for quite some time, they will typically make a commitment right away, whereas buyers who have just started looking will not. It’s always better to go with a buyer who has been looking for quite some time. They have already seen what’s out there and, chances are, they have already looked at their options. Have you already been pre-qualified by a lender? This part could be a question or a statement. Try stating, “If you are interested in purchasing my home, I would like for you to become pre-qualified before you make an offer.” Asking or stating this will show you just how serious this buyer is. You will also be able to determine whether or not they will be qualified to purchase the home from you. If not, tread carefully, as you will need to mark that down within the contract. If the buyer is not qualified, it’s best to scratch them out of the equation completely. You do not want to get involved with a legal process that ties your home up. This will prevent you from showing any other potential buyers if this specific buyer is not qualified. Ultimately, they may not even be able to purchase the home from you, which is why it’s best to stay away from these people entirely as soon as you know. Have you already sold your home, or do you still need to do so? This is an extremely important question because it will give you a general timeframe for how long you have to move into a new home. If they are currently in the middle of selling their home, ask them if their home is under contract, as well. Once you find the right house for you, when are you planning on moving in? Don’t be surprised if they cannot give you a straight answer right away. However, if they blow this question off completely, you may want to look at other buyers. If this particular buyer says “Within the next couple of months,” or “Within a year at the very least,” they are motivated to purchase a new home. If they simply say, “I’m/we’re not sure,” then you’re better off looking at a different buyer. This is also the same for if they say, “Maybe seven months or so,” or something along those lines. During the negotiation process, you will have a lot to do. You will need to have certain things prepared, numbers to go over, and a lot more to deal with. The first step during the negotiation process is one of the most important ones. Get your home as clean as possible and in first class condition. If you have to hire professional cleaners because you do not have the time or the energy to do it yourself, even better. This also includes making any repairs that need to be completed, just so the buyer cannot raise any significant objections to you. Remember: the warranty of the home will go a long way when it comes to overcoming any objections. When it comes to your asking price, research some facts on local and recent sales for support and have them on hand during this process. Some buyers may question whether your asking price is fair or not. You will be able to back your price up by showing them the facts. This should be done during the process when you first start selling your home, but it makes no difference if you do it now. If you have had your house appraised before you put it on the market, get the documents with the appraisal ready. Do not feel ashamed if you have your asking price above the appraisal you received if you are in a strong market. If you are in a weak market, keep your asking price at the appraisal that you received. If applicable, prepare all the items that the appraiser missed (if you feel that they have missed any) and use your appraisal to sell the benefits and features of your home. It’s always a good idea to practice the presentation you plan on giving, as well as getting yourself ready to handle the buyer’s tactics, considering they’re always inevitable. In most cases, you are going to be a lot more prepared than the buyer’s agent, who probably has not done any research on your property. Therefore, he or she will try to go with weak generalities, while you have the specifics. Always remember that you need to be prepared to walk away. You are the boss in this case because you are selling your home. If the offer is unacceptable and they refuse to budge, it’s their loss, not yours. You can always find another buyer. Buyer’s Negotiation Tactics – Be Ready for Them! · The Higher Authority Negotiator – This tactic includes bringing in a third party to review the contract or see the home and put their two cents in. · Nibblers (Non-Stop Negotiators) – The best way to avoid this type is to clearly document and spell out every fine detail, hold your ground, and never fold on anything. · Bad/Good Guy – The best way to avoid this situation is to set one appointment for both sides, and don’t negotiate anything until all parties are present so you’re not hit from both sides at opposite times. · The Trial Balloon – This type will assess your position without any clues or reason, so combat them with questions, such as, “If I were to finance the house myself, what offer would you make me?” Only take a response from the buyer. · “Would You Take…” – Avoiding this type is easy. All you have to do is ask for all offers in writing, and they will more often than not back off. · The Guilt Trip – If a buyer decides to back you into a corner and guilt trip you (some will try and tell you about how hard it’s been for them financially and that they’d really appreciate it if you could lower your asking price), stand your ground. There are many different buyer’s tactics that buyers will try and use to manipulate you or back you into a corner. While most buyers will work with you and generally won’t put up much of a fight, there are some who will try and take you down. Do not let a buyer run you into the dirt and ask you to lower your selling price to an absurd amount. There are plenty of other buyers out there who will make you an offer that’s within a reasonable limit, or take your asking price without a fight. Don’t be afraid to tell a buyer who is stressing you to the point of tearing your hair out to hit the road. You don’t need them. They need you. If you receive a counteroffer, don’t let it sit. Deal with it as soon as you can. Keep in mind that if you take too long, more than two or three days, the buyer will most likely withdraw it and go elsewhere. · Always reply in writing, so it’s documented, and take the time you need to go over it fully. · Find out the buyer’s financial situation when it comes to their approval with a financial institution, and the amount. Finding out whether or not they have an ongoing loan is also a good idea, as well. · If the buyer is using an agent, contact them to find out whether or not they know about the counteroffer. If you are receiving multiple offers on your home, remember to breathe and take time to go through them, especially if you have received more than one. Compare each offer and remove the ones from the pile that you are not fond of or are unacceptable. Remember, you are the boss in this situation, and you have total control over who you turn down and how. Always take the time to clear your head, and get every offer in documented form. There is absolutely no shame in being slow and steady when it comes to the negotiation process. After all, this is the biggest step when selling your home, so you absolutely must be sure that you are doing everything right. 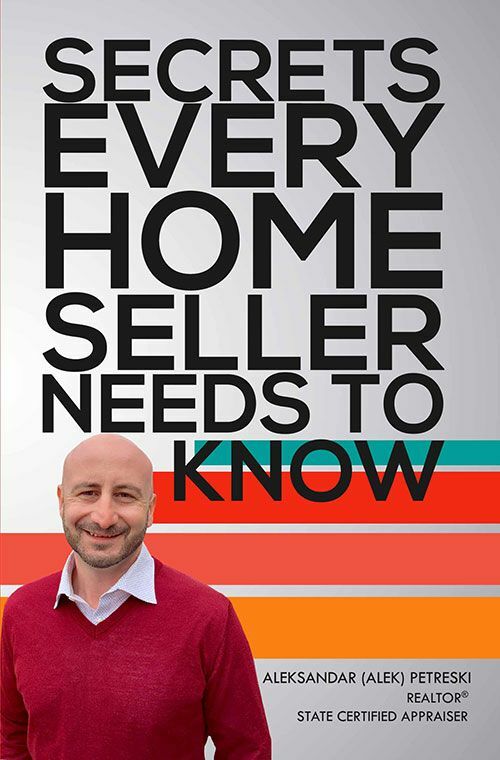 Don’t be afraid to ask the buyer all the tough questions that pop into your head, stand your ground when it comes to your appraisal and asking price, don’t let buyers negotiate you to the point of you pulling your hair out and caving, and always keep everything in written form and document it all. You are the boss when it comes to the negotiations over your home. If a buyer tries to guilt trip you into lowering your asking price to an absurd amount because of their financial problems, stand your ground and keep your head level as much as possible. 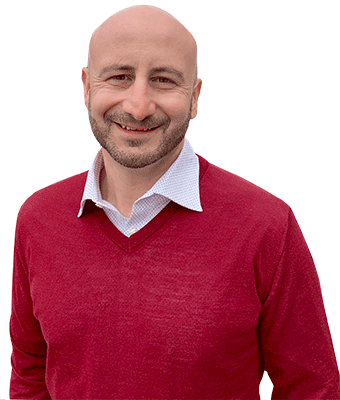 If you find that you are struggling to the point of being too stressed out, or are backed into a corner by a buyer, there is no shame in telling them to hit the road, or asking for help from a real estate agent. They can give you advice on what to do, and can even take over the negotiation process for you completely. Standing your ground is the most important part, and sometimes bringing in help from a second party will be necessary.